Home / News / Politics / Sen Lacson burns Kiko: Under what provision of the Constitution can the Senate question the actions of Supreme Court? 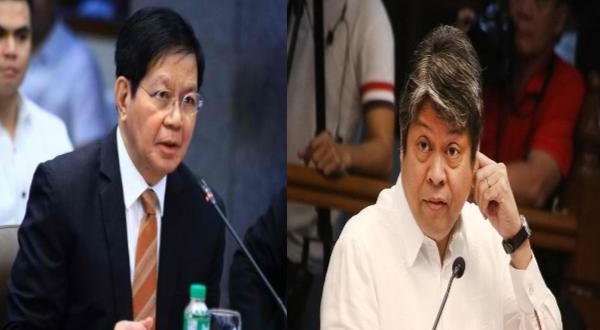 Sen Lacson burns Kiko: Under what provision of the Constitution can the Senate question the actions of Supreme Court? After the recent ousting of Chief Justice Maria Lourdes Sereno, through the Quo Warranto petition, that the Supreme Court voted 8-6 upon. Propagandists took advantage of the situation in order to derail the reputation of the said High Court, stating outrageous things such as “democracy is dead” and that President Rodrigo Roa Duterte had a part on it. Such controversy reached the hearts of these hero-wannabee Senators which argued that impeachable officials can only be impeached. But the Court, as the final arbiter of the Constitution, decided otherwise since the word “may” infers that impeachment is not the only way to remove impeachable officials from power. Yet the majority of the Senate stood fast on their beliefs and heroism and spear-headed a resolution to question the Supreme Court’s decision, a complete act of disrespect to the Judiciary. Recent Senate Plenary debates on the resolution that the Supreme Court should reconsider the ousting of Chief Justice Sereno through Quo Warranto incredibly heated. “Under what provision of the Constitution can the Senate question the action(s) of the Supreme Court? Kindly Provide right now, I’ll sign (the resolution)”, as Senator Ping Lacson staed. Burnt to crisp of this specific fact, emotions and abstract reasonings of the majority was completely thrown out the window. The resolution was absolutely trashed and Sen. Pangalinan taught where his place was by his own Senatorial colleague. Senator Lacson’s logic just goes to show that even if the majority may think that their decision is what’s true and “rightful”, doesn’t mean that it is necessarily lawful. If you deem the Supreme Court unconstitutional then shouldn’t you act on the grounds of being Constitutional? Wouldn’t it be hypocrisy not to? So as Senator Lacson stated, where in the Constitution does the Senate have the right to question the decisions of the Supreme Court?